Do you need somewhere to park your RV, boat, or auto? Is your home in need of deep clean and declutter? Has your business inventory or equipment outgrown your current operating space? StorQuest Self Storage in west Tampa, FL, can help you. We specialize in residential and commercial storage, with 10X10 (100 sq. ft.) outdoor parking spaces also available. Our storage lockers range in size from 5X5 (25 sq. ft.) to 20X20 (400 sq. ft.). Select units are equipped with roll-up doors for drive-in access. 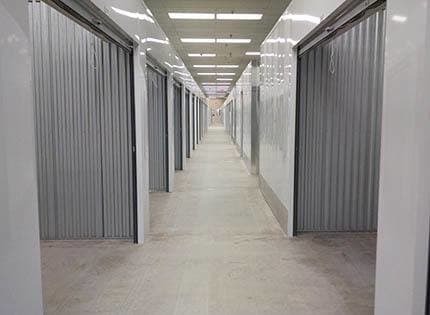 These units are ideal for commercial storage. Load and unload with ease thanks to wide driveways and 24-hour access. We also provide complimentary dollies and carts for your use. The outdoor parking spaces at StorQuest Self Storage in west Tampa are also perfect for individuals seeking a reliable storage facility to store their boats, RVs, and autos. We are located at 6207 W Hillsborough Ave near FL-580 and FL-589. At StorQuest Self Storage, we are proud to provide west Hillsborough County residents with storage that is both clean and affordable. We offer month-to-month lease terms, with discounts available to qualified individuals. Another convenient feature of renting a storage unit from our facility is online bill pay. We accept major credits cards as a form of payment. For added comfort, we offer tenant insurance that is available for purchase in our office. Ask a member of our friendly and professional staff for more information and coverage options. 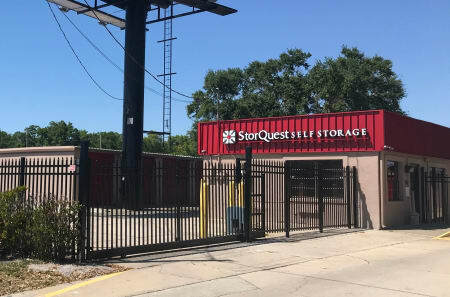 To learn more about the storage units and lease terms offered at StorQuest Self Storage in west Tampa, FL, contact our leasing office today.